The Fusion Stone "Great Lakes" collection is designed with the natural elegance, rugged strength, and maintenance free virtues of traditional stone. Fusion Stone is a thin stone veneer that offers the affordability and ease of installation to beautifully upgrade your home inside and out. With the easy clip and screw system, installation is quick and mess-free requiring no mortar. Available in four (4) colours, choose from the distinctive rusty and brown multi-hues of Brindle; the relaxed, subdued tones of beautiful Raven; the contemporary, rich and cloudy overtones of Carbon, or the more subtle resonance of dusky Fawn. Includes stainless steel clips and screws for installation (extra clips and screws included). Fusion Stone Starter Strip sold separately. 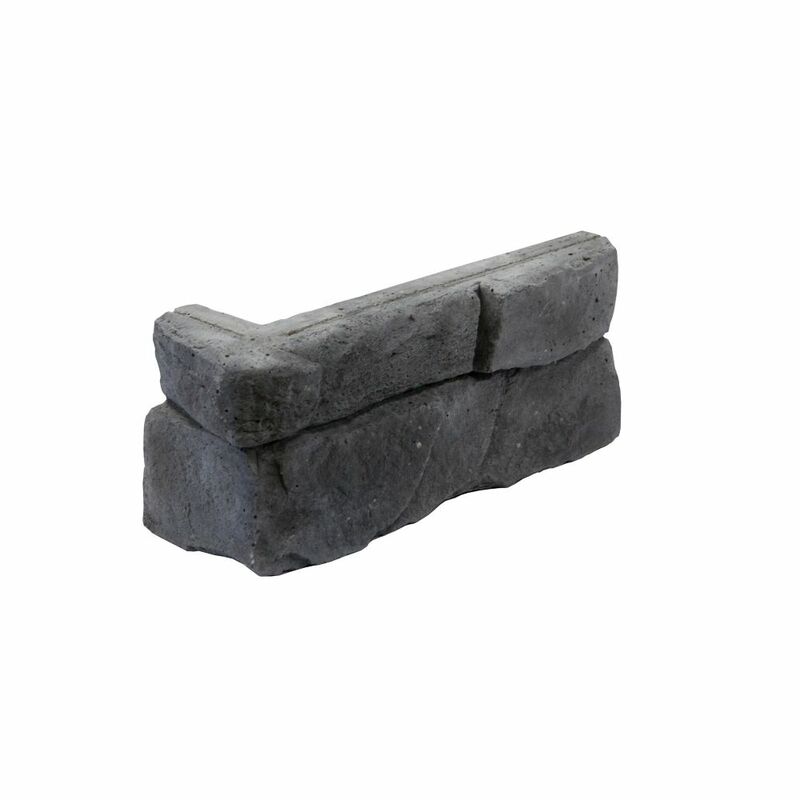 Depend on this stone veneer since it is made out of engineered stone material. Durability is ensured with this manufactured stone. The corner designed product is sure to give your home an upgrade. Install this panel style easily and with style. LP SmartSide 540 Series Trim 1.25 inch x 6 inch x 16 ft.
LP Smart Side trims deliver all the warmth and beauty of traditional wood, plus the durability and work ability of engineered wood. Our Smart Guard manufacturing process actually improves upon nature, creating products that are engineered for strength, performance and protection against fungal decay and termites. Great Lakes Corner Stone Veneer - Carbon (5-Linear Feet) The Fusion Stone "Great Lakes" collection is designed with the natural elegance, rugged strength, and maintenance free virtues of traditional stone. Fusion Stone is a thin stone veneer that offers the affordability and ease of installation to beautifully upgrade your home inside and out. With the easy clip and screw system, installation is quick and mess-free requiring no mortar. Available in four (4) colours, choose from the distinctive rusty and brown multi-hues of Brindle; the relaxed, subdued tones of beautiful Raven; the contemporary, rich and cloudy overtones of Carbon, or the more subtle resonance of dusky Fawn.